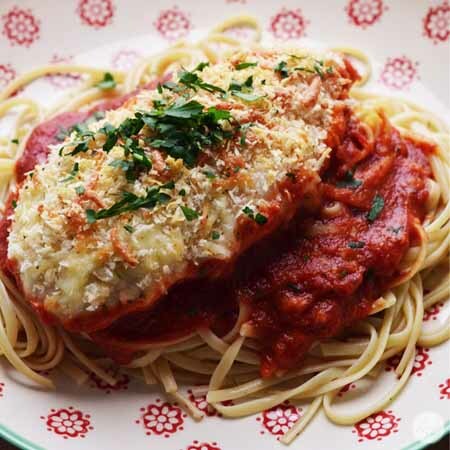 it is simply a matter of compiling the following ingredients: boneless, skinless chicken breasts, mozzarella cheese, parmesan cheese, breadcrumbs, olive oil, your favorite store-bought jarred marinara sauce (this is the short-cut! ), and fresh parsley. note: you’ll also need some fettuccine to serve this all on. and it just keeps getting easier. first you’ll need a 9″x13″ baking dish in which you will spread a layer of the marinara sauce. then place the chicken breasts in between two pieces of plastic wrap or in a gallon-sized ziplock bag. 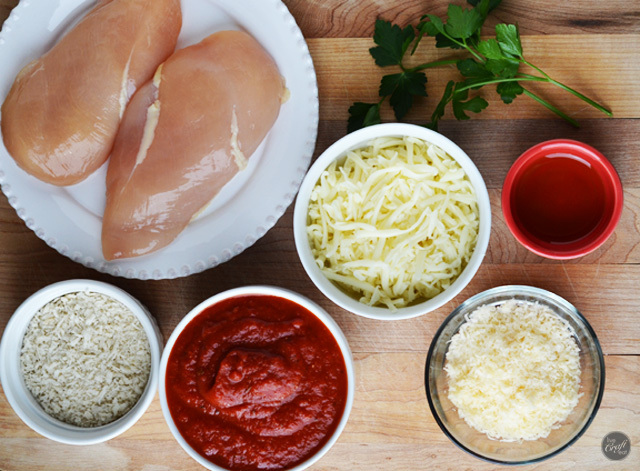 using a wooden rolling pin, the flat end of a meat tenderizer, or even the bottom of a heavy can or jar, pound the chicken breasts into thin pieces. this will help dinner to cook even faster! place the chicken breasts directly on top of the sauce. 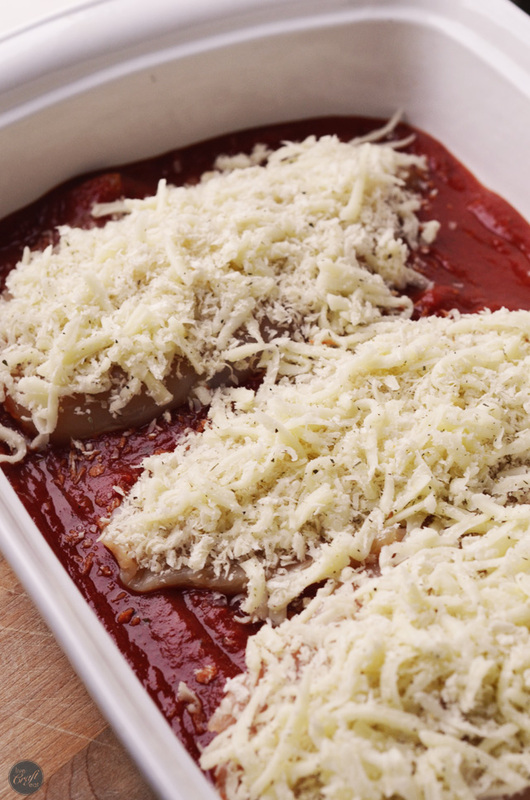 …and sprinkle the cheese and breadcrumb mixture over top of the chicken breasts. bake in the oven, and before you know it, you’ve (almost) got a delicious dinner your family will love! all you have left to do is serve over cooked fettuccine and sprinkle some chopped parsley over top. how yummy does this look!? your family will think you spent so much time and effort making it…we’ll keep it our little secret! 😉 scroll down for the complete recipe! 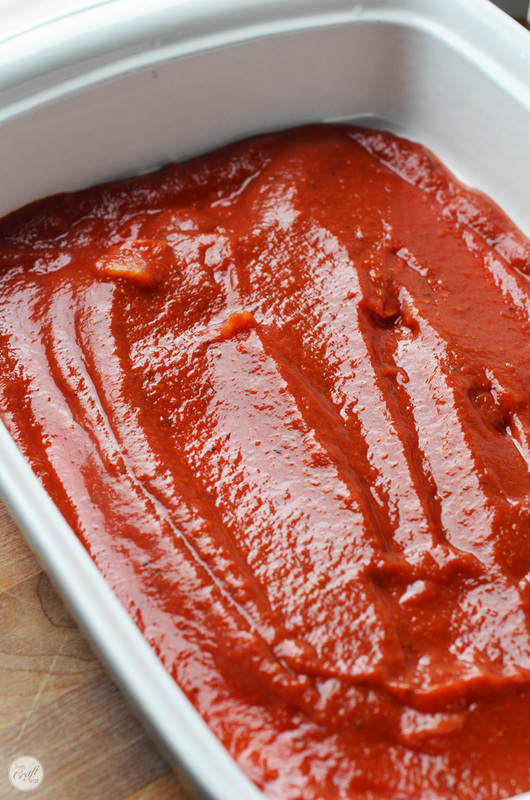 pour the marinara sauce into a 9"x13" baking pan and spread evenly across the bottom of the pan. 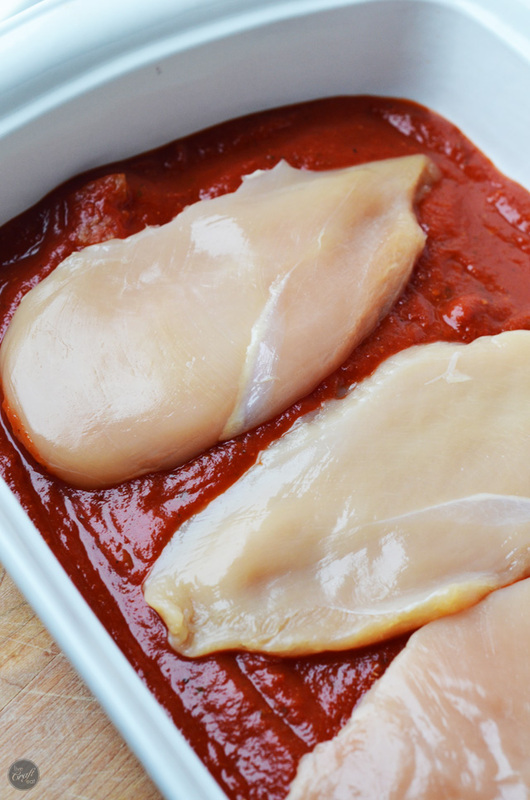 place the chicken breasts on top of the marinara sauce. 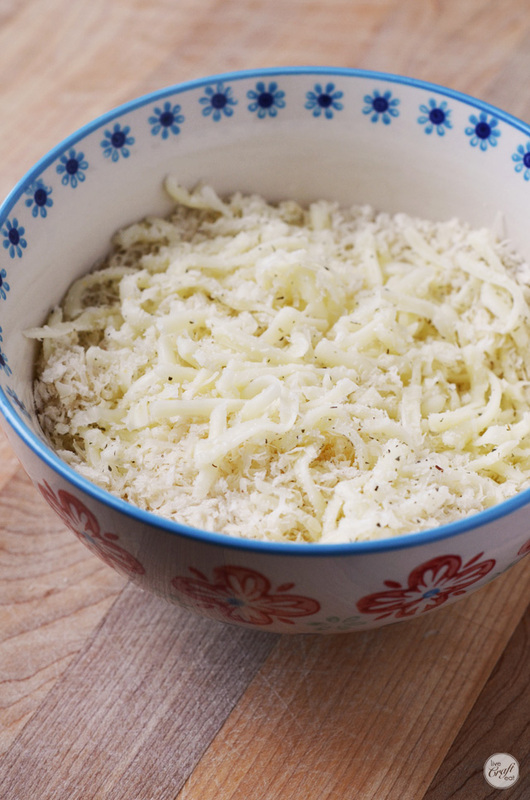 in a small bowl, combine the panko bread crumbs, italian seasoning, mozzarella cheese, parmesan cheese, and olive oil and stir to combine. evenly top the chicken breasts with this mixture. bake at 375 for 35-40 minutes, or until chicken is cooked through and cheese mixture is golden. serve over cooked fettuccine (make sure there is plenty of sauce), and top with chopped parsley. note: if you can't find panko bread crumbs or don't have italian seasoning, use ¼ cup of pre-mixed italian bread crumbs as a substitute. I’ll be making this again. Thank you so much for the recipe. i’m so glad your family liked it! thanks, dail! I’ve never tried freezing it! But I would think that you totally could. There’s nothing in this recipe that is different than say, a lasagna, for example, and lasagnas always freeze well. 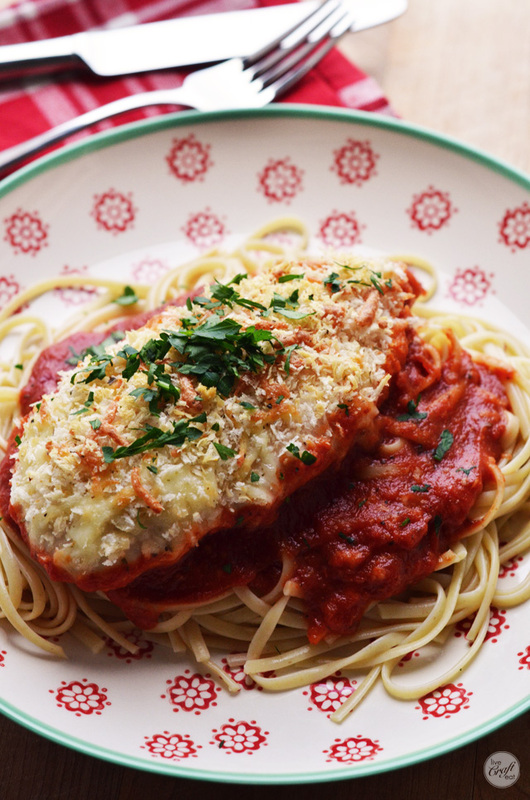 I may have to give this chicken parmigiana a try in the freezer!